Payday loans have been taking over the market but as tempting as they look to avoid, many people are unable to repay the high fees attached to such loans. Looking at the rate of people falling in the payday loan trap, it became necessary for lending companies to create certain codes of business that will help people make better choices and avoid falling into the debt circle created by payday loans. The government has applied state wise laws so that no company can over charge a customer taking a payday loan with more than the permitted rate of interest. 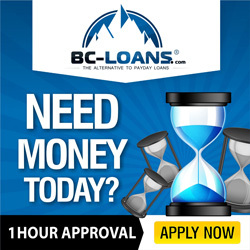 If you are also looking to take a payday loan or have considered it in your life before then you must know the various codes of best business practices introduced by the Canadian Pay day loan association. The Code of Best Business Practices was created with close consultation with consumer advocates and government officials. It creates a high moral standard, provides consumer protection, and makes sure that all the customers will be treated equally and with respect. If you are a customer who wishes to take a loan from a lending company or a lender who isn’t a member in first-class standing of CPLA, then you might be taking a big risk in your life. Membership of CPLA puts a condition on its every member to pledge on following the code of business practices annually. The code of best business practices is displayed prominently in the stores of all the members and also reveals the membership status of the client. The CPLA’s Code has set rules for revelation of charges and fees, maximum rates of interest charged, customer privacy and fair collection practices. The “no rollover” policy of the code has the finest control measures imposed by any industry in the world. So before you think of taking a loan, you must know the best business practices. CPLA (Canadian Payday Loan Association) is an association of people that lend payday loans to the needy in Canada. Payday loan as we all know is a short term loan that is given out for a small period of time, typically 2 to 4 weeks or till borrower’s next paycheck at a high rate of interest. As the name suggest, such loans are for occasional use and must not be tajen to fulfill consistent shortfalls in your life. When you need urgent cash, payday loans may look seemingly attractive but those with ongoing financial problems must meet a financing counselor to get a wise solution. It is very easy to borrow payday loan but when it comes to returning the loan along with high interest rate charged, it often gets difficult for the borrower to payback, especially if he is in an economic crisis. CPLA is dedicated to giving credit counseling references. As a rule of CPLA all the members of this association must follow certain codes of best practices in their business. Being a customer, you must know all the codes that CPLA abides by. A CPLA member is not allowed to grant a customer an extension of remaining payday loan for an advance of fees to repay their present loan until and unless it is allowed by the governing legislation. A CPLA member is not permitted to lend multiple payday loans that exceeds the amount to which customer was approved initially to borrow. A CPLA member cannot charge the customer with penalty or returned item fees that is more than the amount agreed by the association from time to time. Also any other fees or amount is allowed only by the governing legislation. The rate of interest on every hundred dollars borrowed will not be more than 0.90 dollars per week for the initial 13 weeks and then 0.50 dollars thereafter or lesser amount that is allowed by the governing legislation. Any member of the association shall not take title to assets or chattels of a customer as security for reimbursement of the payday loan. A member must fully comply with various regulations and laws valid in the territories and provinces in which it works. CPLA member will collect the outstanding amount that is past due date in a lawful, fair and professional way. Members are forbidden from taking assignment of wages. Also no member is allowed to use criminal action or other kinds of harassment or intimidation to accumulate the outstanding amounts. A member has to maintain and keep records of the financial transactions of their clients as per the standards recognized by the applicable legislation or the association. A borrower has the right to withdraw his payday loan at no extra cost on or before the end of the following business day or any time period obligatory by valid legislation. Members are banned from giving confidential and personal information for advertising or any other purposes that are not related to payday loan without the permission of the client and will abide by all privacy laws. Members will value the guidelines of advertising as created by the Association and shall also obey with all the Provincial laws governing its advertising. Member must use simple language in documentation that will reveal all costs, fees and interest rates in an obvious manner and will significantly point to the high-cost nature of loan on all documentation. The Loan agreement must prominently and clearly keep out all the material terms of transaction. A member must give every client a replica of their loan agreement. Members will clearly showcase the Code of Best Business Practices, credit counseling, the CPLA logo showing him as a member in the Association, and educational brochures needed by CPLA or provincial legislation and details on how the customers can get in touch with the Association for their comments or complaints. The Association will make sure that members must comply with all fundamentals of the Code. A member has to report to the association regarding any infringement of this Code by him or any other member of the association. A member must take action assiduously against the complaints of its customers. If any client is not content with the solution to their complaint then they can contact the Consumer Response and Resolution Bureau line at 1-800-413-0147. Of course the above mentioned codes may make a customer think that these loans are safe and have no extra cost attached to them but the fact is that even with such codes governing the lenders, the rate of interest charged by them is high. You will surely have a clear picture on the agreement as what you will be paying but it is always more than other financing options available. Therefore it is essential to make responsible borrowing whenever you are in need. Anyone who is thinking of taking a payday loan must first think if his choice is correct of not to meet his financial emergencies. There may be creating situations in life where you can borrow from other sources rather than choosing payday loans. Thus our guide to responsible borrowing will tell you when you should choose such loans and who chooses such loans. Why do people take payday loans? Nobody wants to take a loan for which one has to repay even more than twice of the original amount borrowed. But there are certain situations in life where you need urgent cash. Such situations can arise in the life of anyone. Unless you have maintained a good account balance in your bank, having extra cash at hand to meet unexpected expenses can be physically and mentally draining. When you face urgent shortage of money due to unexpected repair or bill, a payday loan can seem an interesting option. For instance, it can be less costly to pay for a payday loan then to pay late fees or reconnection of your cable or telephone bill or to pay for a cheque that you have written to evade bouncing charges from the bank. These are certain situation where people feel payday loans can save their day and help them in meeting their immediate financial urgencies. Some other people take payday loans because they don’t have enough cash to carry their livelihood and have not been approved for a loan from other options. If taken at the right time and used properly, payday loans can actually be helpful. You must remember that it is not advised to take another loan after repaying the first one because such loans are meant for occasional use only. These are not long term loans. If you find yourself often in a position where you want extra money on your hand then you must consider other financing option or going for a personal loan. Also if you are not able to improve your present situation of financial crisis then seeing a non- profit credit counselor is advised. Before taking a payday loan, you must explore other options that you can choose to take a loan or get some instant cash at hand. If you have decided to take payday loan then it is very important to read your loan agreement carefully because in order to avoid any discrepancies in the future, payday companies may not tell certain things on your face but may have mentioned them in the agreement. You should understand your loan terms carefully and ask your loan provider all kinds of questions that come to your mind. Also ask him about the consequences and rate of interest levied if you fail to repay the loan in time. If you are keeping any of your expensive asset or item as collateral, ask what will happen to them if you fail to repay. As per the code of best business practices, CPLA members cannot hide any cost from you and will also give you a copy of loan documents. 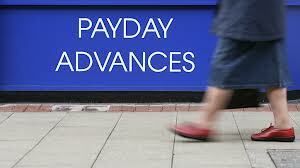 It is essential to evaluate you financial position to judge if you will be able to repay your payday loan or not. It is essential to avoid such circumstances or else you will have to pay n.s.f charges to your bank. Consider using other options if you use payday loans too often. Options like personal loan, overdraft limits, or line of credit are really helpful. Although CPLA has its customer lines available to file complaints or inquiries but it is very important that you know what you are getting into before taking a payday loan. Once you miss your payments or are having troubles collecting enough cash to repay for your loan, then you will be caught in the inescapable trap of payday loans. The debt trap is so shocking that you will lose your peace of mind. The ever increasing interest rates and associated late fees will certainly puzzle your mind. It is thus important to take important decisions like borrowing money carefully. There are many other ways in which you can meet urgent cash needs like asking your friends or colleagues for help. If you have a permanent job then any bank will grant you a personal loan or overdraft limit in a matter of few hours. The interest rates will be low and you will also be repaying your loan amount along with the interest in such cases. So if you are choosing a payday loan, make sure you explore your other options thoroughly before you make such decision.